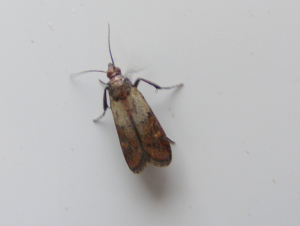 Observation - Indianmeal moth - UK and Ireland. Description: This moth along two others had emerged inside a birdfeeder containing peanuts. This moth along two others had emerged inside a birdfeeder containing peanuts.